No disrespect, I see this as a classic local red. A light, tart wine that’s super refreshing and similar to the popular café wines of France and Italy. 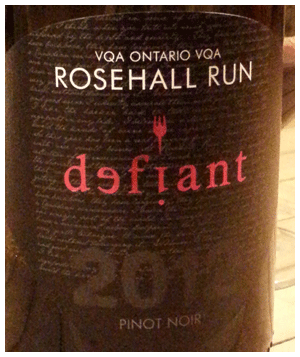 Village Pinot, rustic and earthy – much different from the fancy stuff. A red to have with a Poulet Roti or a charcouterie platter. The key is to match the lighthearted feeling of the wine with your own lighthearted times. And friends. Lightly chill. Pour generously. P.S. The discounted $16.95 price is good till Mar 2nd.